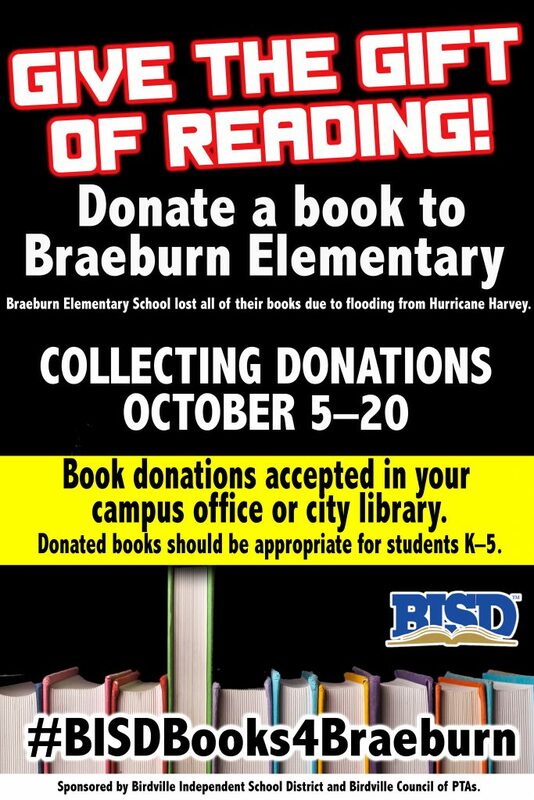 Braeburn Elementary School lost all of their books due to flooding from Hurricane Harvey. Book donations accepted in your campus office or city library. Donated books should be appropriate for students K–5. Sponsored by Birdville Independent School District and Birdville Council of PTAs.